When I am plotting, I need to walk. When I get the story plotted, I break it down into chapters and plot each chapter individually. Then I write the rough draft following my chapter plots. When the draft is done, I revise. When the revision is done, I edit. When the edit is done, I edit again. When the 2nd edit is done, I use Grammarly to edit again (I save this for after the 2nd edit so I have a chance to clean up the mistakes before the machine counts them). After the 3rd edit, I proofread once more before I post the story on Wattpad. I didn’t used to read much, at least not fiction, but the Harry Potter books changed my life. I wanted to create a make-believe world like that, so I started writing fantasy stories. I guess, in a way, reality inspired me to start writing because it’s basically black and white, and I like orange and purple and crimson. And now, I could say that my imagination inspires me to write, because I can go anywhere I like and do anything I want to inside my head. I will even go so far to say Wattpad inspires me to write, because I don’t think I would have finished so many books without the support and encouragement of my Wattpad readers. Not sure if the word ‘magical’ was used to encourage outside-the-box answers, but if it was, I would say I’d like to be a teacher at Hogwarts because…well, it would be freaking awesome. If magic weren’t involved, I would definitely go in the direction of environmental activism and protecting the planet’s natural resources. If I become a famous author, I plan to use my fame to speak on behalf of the planet and the animals it serves. For me, it’s all about the characters. I would ask everyone to think about the people they know; their quirks, physical attributes, personalities, talents, etc. Then I would ask them to create characters with unique attributes, both good and bad, and make sure the stories they write include these memorable characters. I would recommend they spend time getting to know their characters, putting them in different situations and seeing how they react. Readers want real and endearing protagonists they can rally behind. With the right characters, any story can become a masterpiece. Our affair had been like that from the beginning, feral and controlled. The mixture held us together somehow, and since my luck ran like a broken thermostat, I took every opportunity to indulge in the good stuff. – Taken from book three of the Stone In Love series due out spring 2018. 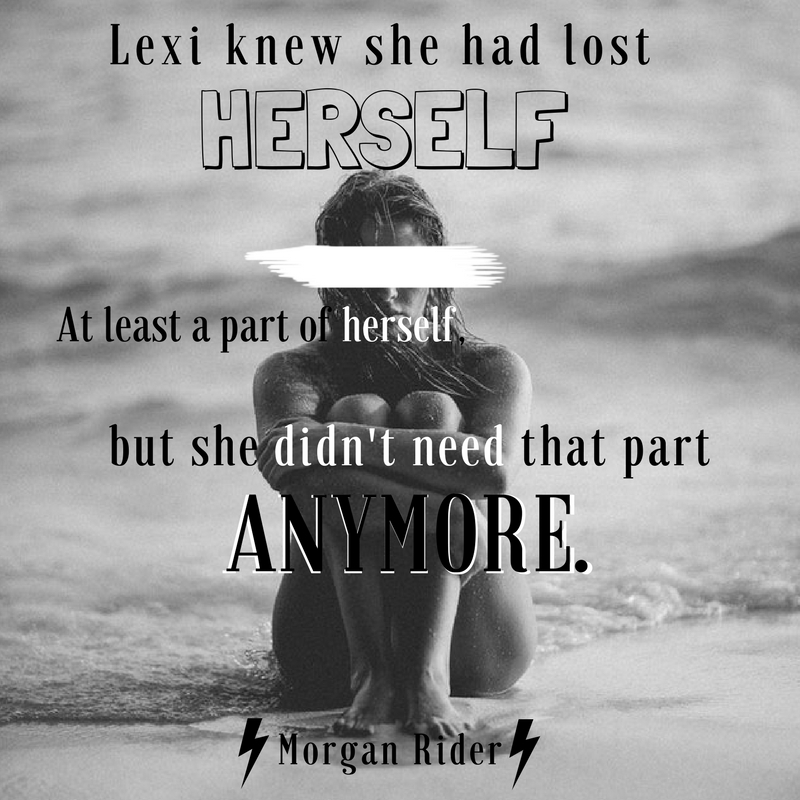 Lexi’s Undoing is now available as an audiobook.